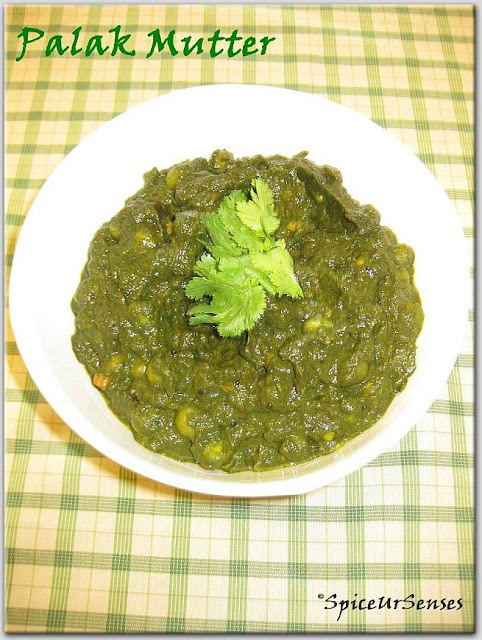 Then grind the palak sabji to smooth paste. Keep stirring in between so that it will not stick to the pan. Serve with Roti, Nan, Paratha's. Delicious Combo and yummy !!! Omg, palak mattar looks absolutely inviting and delicious.. 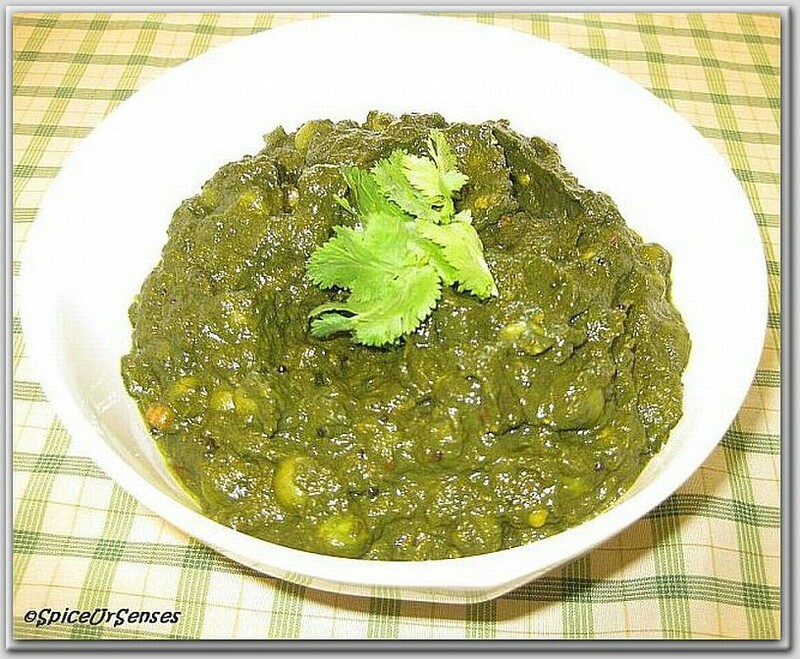 The palak curry looks simply delish, yum!! This looks simply delicious.Beautiful pictures too. wow..looks so yum...and loved the color.. Tempting Green colour. This looks creamy and awesome.